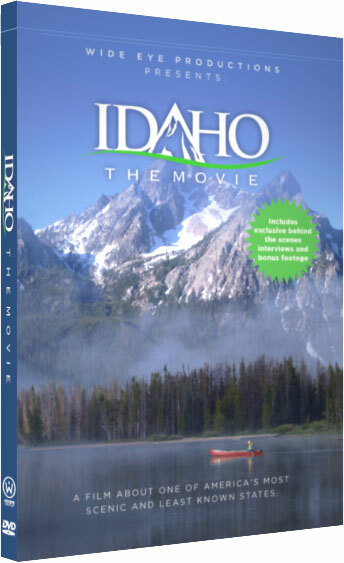 The Idaho, the Movie gift set features 2 DVDs. 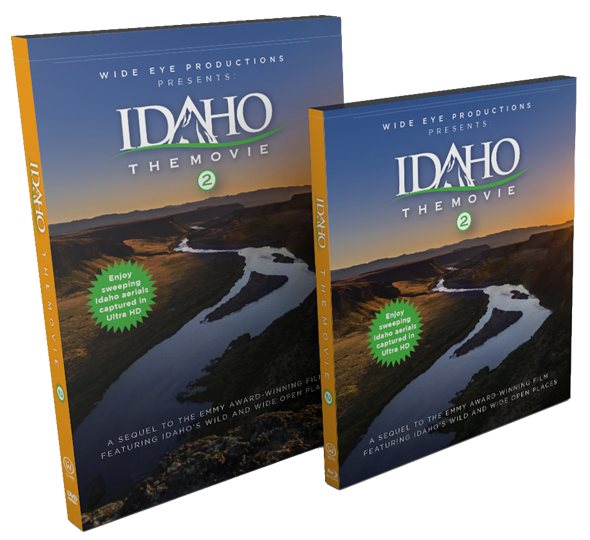 Share the beauty of Idaho and the West with your family and friends this holiday season with the Idaho, the Movie + Wildlife of the West special edition gift set. 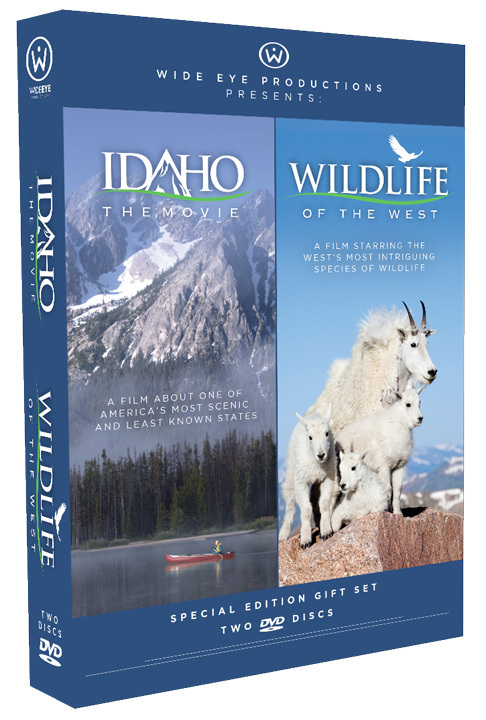 This 2 DVD set features the Emmy Award winning documentary, “Idaho, the Movie”, plus the brand new release “Wildlife of the West,” featuring more than 2 dozen of the West’s most intriguing species of wildlife. Both films are written and narrated by columnist, Tim Woodward. Single copies of Idaho, the Movie are also available. Idaho, the Movie is an Emmy Award-winning documentary that features the well known landscapes of Idaho and the little known gems in between. Purchase your copy of this keep-sake film and share the beauty of Idaho with your family and friends. Tim Woodward in-store signing December 1st, 2016 from 5:30pm - 7:30pm! On sale beginning November 26th, 2016 at all Idaho Albertsons stores. You don’t say how much it costs. Exactly! And the link that says “Buy Now” does not work. Ain’t a gonna sell much thataway. thank you for bringing the broken link to our attention. It is fixed now. The disc is selling via Amazon.com (which is where the Buy Now button links thru to). What a gorgeous movie; reminds me how beautiful Idaho is! Kay, Idaho the Movie 2 will premier at the Egyptian Theater in Boise on November 15th, 2016 at 7pm! Our broadcast premier on KTVB Television in Boise is November 25th @ 7pm. DVDs and BluRays of the film will sell at Idaho Mountain Touring in Boise and at Idaho Costco and Albertsons stores during the holiday season. Thank you! You guys were a BIG part of it. Thank you to Air St. Luke’s for your support of Idaho the Movie 2! Great movie! I will be buying several copies as gifts. Are the copies purchased through this site signed or are signed copies only available at the signing events? Signed copies are only available at the signing events… thank you. Will the DVD be available at Costco in Sequim, WA? Yes!! The DVDs will arrive to the Sequim, Washington Costco store tomorrow, 12/14/12. Expect to see them in the store this weekend. Thanks!! Is there any other place to buy the DVD? I live in Sandpoint ID and would love to buy it locally. No Costco, Albertsons or the touring stores up here. Ordering and fulfillment is thru Amazon. Thanks, Tim, Kevin and Bill. I purchased several for gifts. I would love to see this in blu-ray, as a HD rental/purchase on amazon.com, or in :HD on netflix. It needs HD to do it justice. Hi there, thanks for your comment. Due to the high cost of BluRay mastering, we were unable to offer a retail BluRay disc this time around. We hope to make one available in the future. Sounds good, thanks for the reply. I would encourage digital HD distribution if blu-ray is cost prohibitive. I think you can sell a movie in HD on the amazon video store, XBOX 360, or other similar venues. The only problem with having a blueray disc is you have to play it on a blueray player it will not play on a regular DVD player! That is correct, Duane. You must have a BluRay player to play a BluRay disc. A DVD will play in either a DVD or BluRay player. However, the quality is not as good on DVD. What a gorgeous movie represneting the beauty ID offers! Is there a listing of signing events? I’ll be getting copies for out of state family Thank You! Will you be offering an HD digital download of the movie? It seems a shame to watch HD and 4K footage on a 480p DVD. yes, we are in the final steps of creating an HD digital download for the movie. I will be sure to post it here when it’s ready. Denny, I was born and raised in Idaho. I forgot how beutiful it is. I live in another state no and just watched it on tv. It made me homesick. I have fished and hunted most of the places I seen in the movie. I too was born and raised here in Idaho. I was raised in the mountains as a minors daughter and have seen most of these places personally. All the beauty and serenity has been captured wonderfully. The animals I’ve seen personally. I am very much wanting to buy the whole gift set, a few in fact. Where and how much? Please let me know. They are also available at Idaho Mountain Touring in Boise, at all Idaho Costco Stores and select Albertsons stores. Enjoy! Can I buy versions that are Europe compatible?